San Juan Capistrano, CA– Smartenit Inc. has embedded their popular ZigBee, INSTEON, WiFi, and X10 home automation platform, into a powerful Android mini PC. The revolutionary concept allows users to run popular streaming media services like Netflix, Hulu, and Pandora on a Smart TV alongside their Smartenit home automation ecosystem. The micro-sized media set top box packs a multi-core ARM processor, ample memory, Ethernet and WiFi, and comes configurable with various Smartenit automation controllers for a rich variety of network control options. G1 is wireless and, like other Smartenit gateways, is discoverable through the iSmartenit app, making its setup truly plug-and-play. G1 gives users access to the full Smartenit device ecosystem, including controllers from multiple manufacturers using multiple wireless technologies to address solution areas like water, energy, lighting, monitoring, comfort, and more. Interfacing with the system is achieved through the FREE iSmartenit cloud connection service and application, which comes in browser, desktop and mobile versions (both Android and iOS). 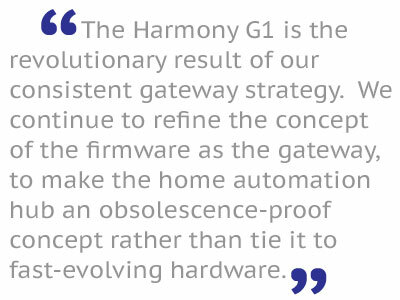 Discovering devices is automatic and iSmartenit taps into the powerful logic built into G1 that allows users to set up sophisticated programs and relationships among their devices. The mini PC, through its HDMI port, allows the transformation of any PC monitor, projector, or TV into a Smart TV. The tight integration with Android allows users to access any number of popular apps while their home automation system runs in the background. Dual USB ports and an SD card slot offer storage expansion and network connectivity can be done either through wired Ethernet or WiFi. Smartenit, Inc., a wholly-owned subsidiary of Compacta International, Ltd., is dedicated to delivering automation solutions that continually expand the Internet of Things. These solutions have applications in many areas including energy management, water management, monitoring, comfort, and lighting, in the modern home and beyond. Smartenit’s cost-effective, and easy-to-use products are part of an ever-expanding system that allows easy monitoring and management of any connected device from anywhere. For more information, visit www.smartenit.com. Find Smartenit on Facebook and follow us on Twitter @smartenit. ZigBee offers green and global wireless standards connecting the widest range of devices to work together intelligently and help you control your world. The ZigBee Alliance is an open, non- profit association of approximately 400 organizations driving development of innovative, reliable and easy-to-use ZigBee standards. The Alliance promotes worldwide adoption of ZigBee as the leading wirelessly networked, sensing and control standard for use in consumer, commercial and industrial areas. For more information, visit: www.ZigBee.org.